It is inexpensive compared with other companies, but I do not think there is any problem. This review is about item#38843034. It is used for piping from a well to a shallow door pump. It was inexpensive and there was no problem with the product in particular. This review is about item#38843025. I bought it together with other purchased items because it was damaged by the freezing of this winter. This review is about item#38843007. This review is about item#38843016. You can use it with confidence. It is cheap and will be delivered very much as it will arrive the next day. This review is about item#38843043. I can use it normally and I am not dissatisfied. I bought it because it is cheaper than home center etc. I am using it with confidence because it is made by the manufacturer. There is no particular problem. This review is about item#38843061. There is no dissatisfaction that you can use it normally It is cheaper than a home center etc. Good. 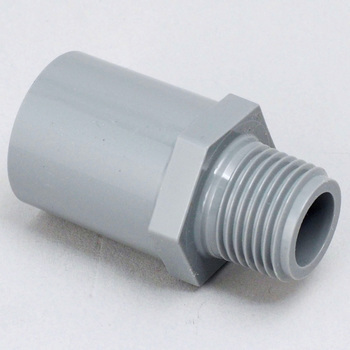 The product of the previous Aaron Kasei was able to be screwed only halfway by hand, whether the screw pitch or the diameter of the male and female was not matched, but this time I could screw it tightly until the end. If Sekisui is sold out, it may be re-purchased. It was possible to use it without any problems. There are no improvement points about this product.